This is a Debra Jordan Bryan dishwasher magnet. 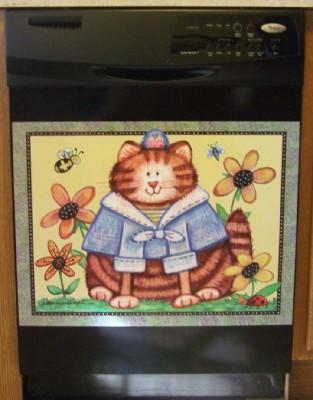 A dressed up cat with flowers and bugs. It's just adorable artwork for your kitchen!! Will not stick to stainless steel.